D.R. 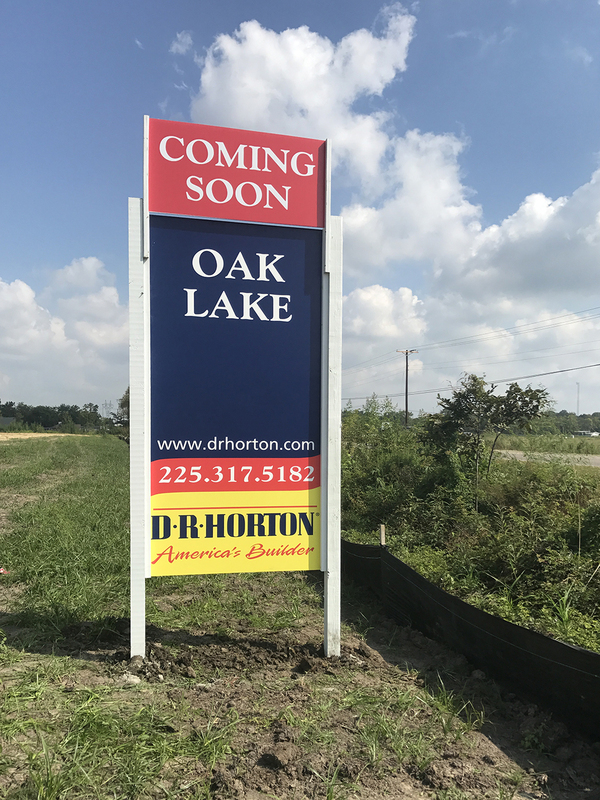 Horton, America’s largest builder of livable and affordable new homes needed assistance with its various developments. Each D.R. Horton development is has unique attributes and model types. 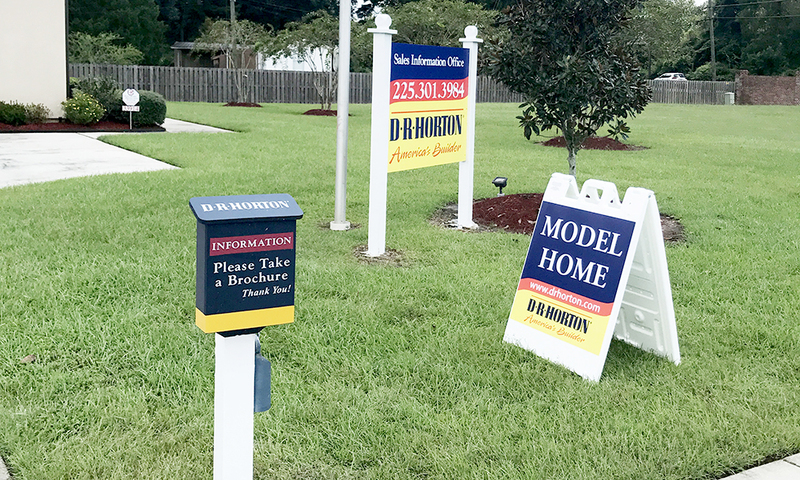 These developments needed outdoor signage to direct prospective homebuyers to their model homes. With projects stretching across a vast region, D.R. Horton called on Vivid Ink Graphics for help. 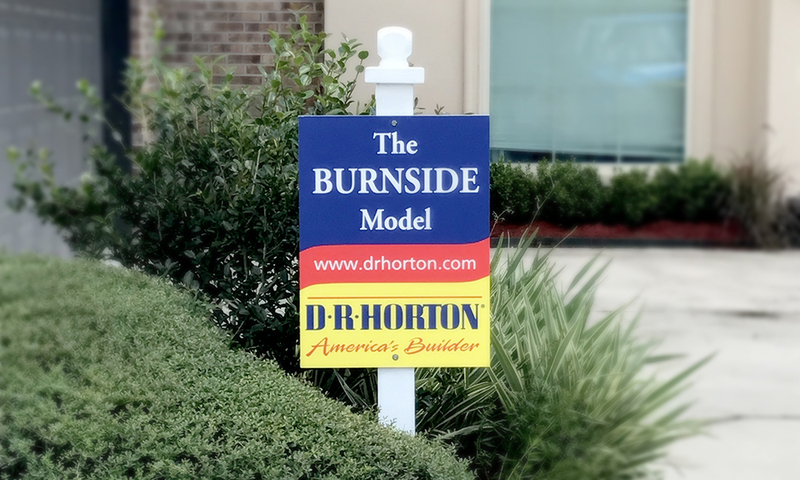 Large outdoor promotional signage was designed for each D.R. Horton project. 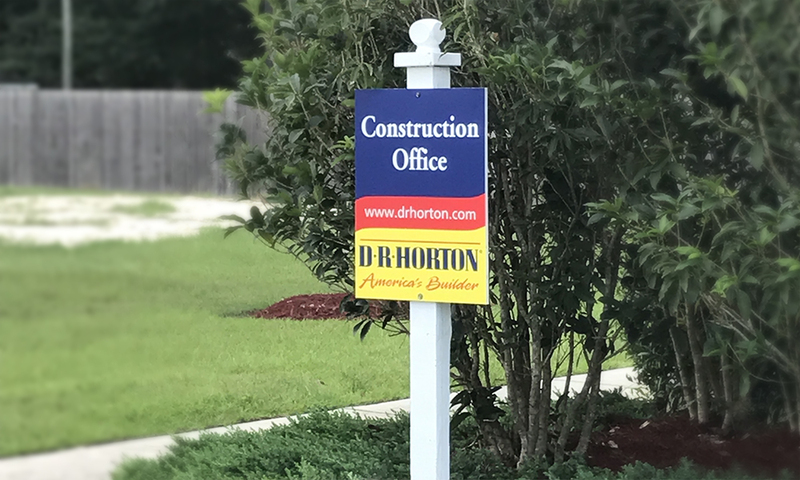 These durable displays needed to be placed near the new home sites and in high traffic areas. Vivid Ink Graphics secured contracts with local landowners for two-year rights and then installed the signage for D.R. Horton. D.R. Horton has a one-call source for their print communication needs to include custom production of unique products and installation of outdoor advertising.D.R. 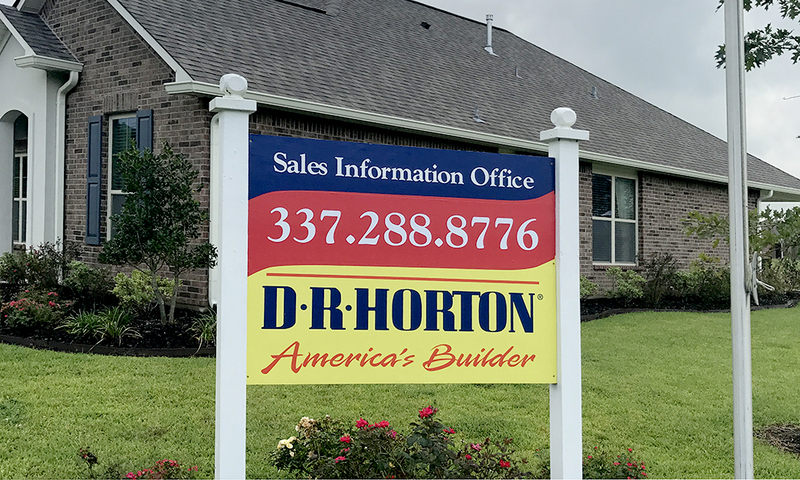 Horton is able to focus on their core business: building and selling great American homes. Vivid Ink Graphics continues to offer innovative solutions and to be a trusted partner for this great national brand. This turnkey service freed D.R. Horton and though difficult, was successful in helping D.R. 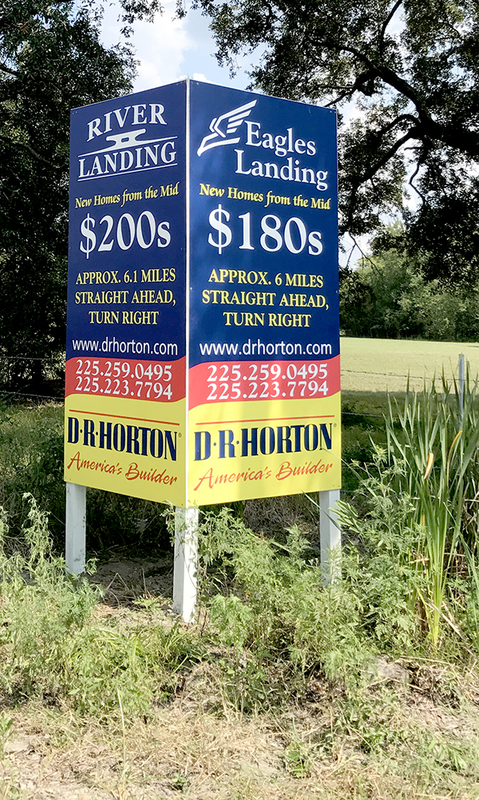 Horton attract new buyers to their subdivisions. a one stop shop for all our printing, signs and graphics. Their service is excellent.